Imperial scientists have worked out how to fine-tune cellular clocks, which might lead to optimised production of drugs, biofuels and other chemicals. In genetics, oscillators are biological 'clocks' that express certain key genes at regular time intervals. Such oscillators exist in all realms of life, from bacteria to humans—and their rhythms are at the core of essential processes like cell division and metabolism. Oscillators can be manipulated by external cues. For example, the day/night cycle influences the genes that control the release of melatonin, increasing its levels at night to induce and maintain sleepiness. Scientists are increasingly giving genetic oscillators to engineered cells, to help them control the release of drugs, biofuels, and other chemicals. Yet until now it has been difficult to control the frequency and amplitude of oscillations separately. Now, a study in Cell Systems by researchers at Imperial College London has shown new ways of better controlling genetic oscillations by tuning the desired amplitude and frequency. This could let cells 'budget' resources by reducing the amount of time that genes stay 'on', which cuts the energy burden and the accumulation of toxic compounds in the cell. This would streamline the process of producing drugs, biofuels, and other chemicals, making operations more productive and efficient. Lead author Dr. Guy-Bart Stan, from Imperial's Department of Bioengineering, said: "We have shown that it's possible to independently tune the amplitude and frequency of genetic clocks, giving us greater control over their output." Currently, host bacterial cells are genetically altered to express genes that control the expression of desired proteins. 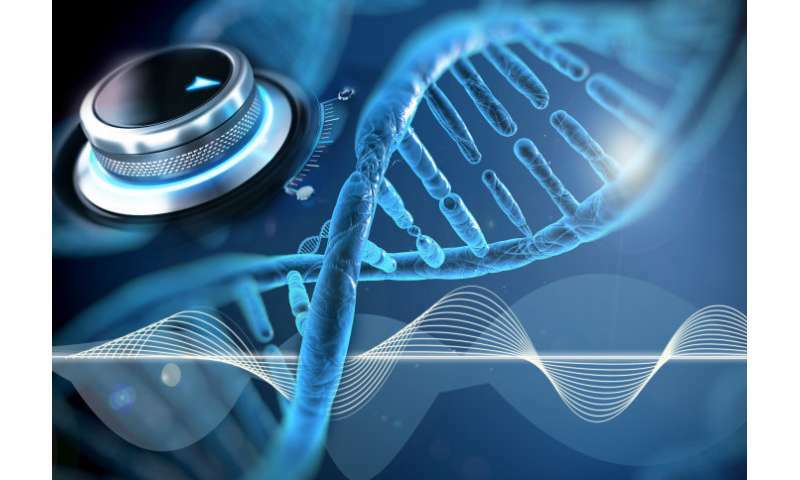 Genetic oscillators were some of the first bio-circuits constructed in synthetic biology and have already been used in various applications, but until now scientists have been unable to change the amplitude without affecting the frequency, or vice versa. The researchers used computer modelling to unravel the links between amplitude and frequency in current genetic oscillators, and, based on this, proposed new design principles to control amplitude and frequency independently. These newly designed genetic clocks could help build more complex genetic networks for drug delivery, and even introduce a personalised medicine element. First author Dr. Marios Tomazou, also from the Department of Bioengineering, said: "Our findings could help us make drugs that take effect at specific times depending on benefit to specific patients. This approach could make drugs even more effective, while reducing any side effects caused by being always 'on'." Next, the researchers will take the concept from computer models to laboratory tests to test whether it works in a practical setting. Do you have higher chances of having cancer if you get injured more?